PUNE: Strong growth in the scooter segment continues to upset Bajaj Auto with the company witnessing a de-growth of 1.34% in FY18 with a total two-wheeler sales at 19,74,577 units. Pune-based Bajaj Auto does not offer any product in the scooter segment. As per the SIAM data released, 6,719,911 scooters were sold in FY18 in the country against 5,604,673 scooters sold in FY17, a growth of 19.90%. The overall two-wheeler segment grew by 14.80% in FY18. “In the last few years, the scooter segment has witnessed strong growth as against the motorcycles in the two-wheeler segment. The scooters are catering to the untapped markets, especially female population,” explained Rajeev Singh, partner at Deloitte India. 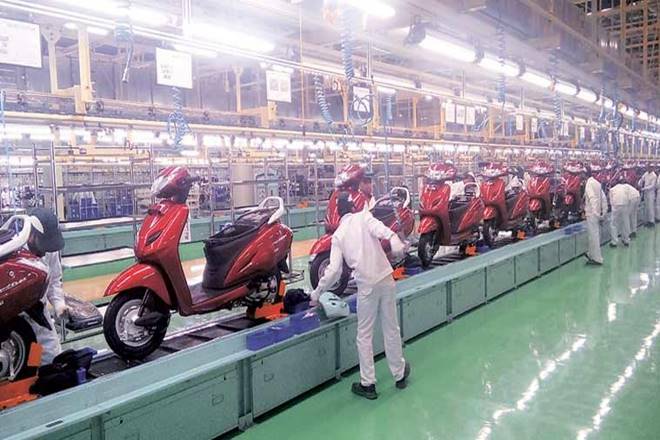 He added that the CAGR growth rate for the two-wheeler segment is expected to be 9-11% for the next 2-3 years, while the scooter segment is expected to garner much higher CAGR at 17-20%. Meanwhile, Honda Motorcycles & Scooter India (HMSI) grew 22.23% and Hero MotoCorp at 13.87% in the two-wheeler segment for FY18, backed by a strong scooter sales. HMSI grew 20%, Hero MotoCorp 12% and TVS Motor 33% in the scooter segment for FY18. “Bajaj continues to be impacted by the strong growth in scooter sales due to its absence in the segment. The segment has been expanding with players looking at exploiting the untapped market,” said an industry analyst.